Delmarva Power & Light Company on Feb. 13 asked the Delaware Public Service Commission to approve its 2019 program for the procurement of solar renewable energy credits, or SRECs, to comply with the state’s renewable energy portfolio standard, which requires the percentage of retail energy supplied by renewable resources to increase over time to 25 percent in 2025, including a solar carve-out of 3.5 percent. The program intends to procure 15,000 to 20,000 SRECs through a public solicitation from five different tiers of solar generators based on project capacity. The proposal overhauls the tier system of the 2018 program, but would continue to enter into long-term 20-year contracts with owners who submit a successful bid in the auction. The first tier would comprise projects less than or equal to 50 kW; second tier, 50 to 500 kW; third tier, 500 kW to 2 MW; fourth tier, greater than 2 MW and in-state leased systems; and fifth tier, out-of-state and existing systems. The new program would reorganize the tier structure to five tiers from nine, placing all existing systems in tier 5, in order to reduce complexity, encourage participation, and enhance competition in tiers 4 and 5 by reducing the chances of under-subscription. Overpriced bids rejected in any tier would not be used to backfill another one, so as to reduce overall procurement cost. 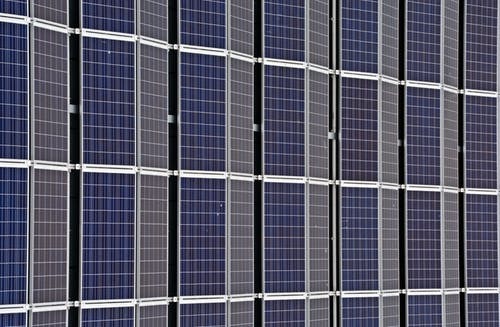 The proposal calls for in-state system siting requirements for tiers 1, 2, and 4 to help encourage the development and installation of new solar projects within the state. Community solar projects would be required to enter the tier that suits their system attributes, in order to avoid confusion as to where those projects would bid, as there have not been any community solar projects in Delaware so far. The company seeks action by March 9 as the next auction to begin the next auction as soon as possible for the compliance year starting June 1. Delmarva Power, a subsidiary of Exelon Corp., is the only commission-regulated electric supplier responsible for renewable energy compliance for its full distribution load.